Iron Horse Gutter Works is here to help you with gutter installation and gutter repair in Syracuse. 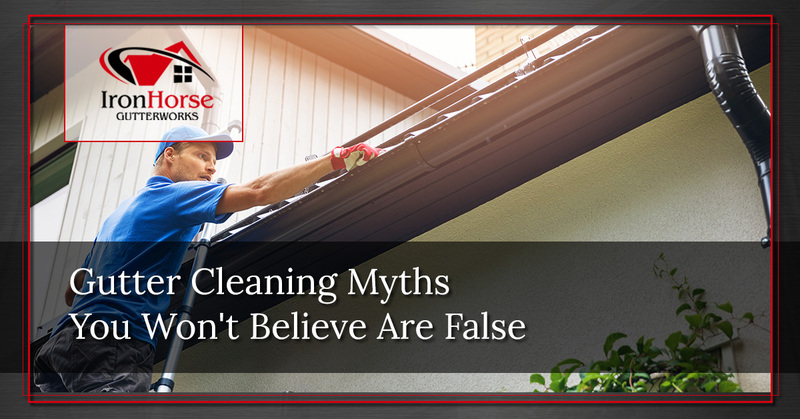 In this post, we want to share some gutter myths you probably won’t believe, but are serious myths that need busting to better protect your home. Truth: As much as we want to agree with this myth, it’s false. A proper gutter cleaning includes more than removing what doesn’t belong. Iron Horse Gutter Works has years of experience serving Syracuse homes, and the integrity of your gutter system relies on it being thoroughly inspected, as well as cleaned. Truth: Gutter cleaning may look simple, but it’s quite dangerous. Professionals carry gear and clean gutters whilst atop a ladder. Depending on the height of your gutters, the task can become even more dangerous to complete on your own. Truth: At Iron Horse Gutter Works, we strongly suggest you clean your gutters at least twice a year. Depending on your location, intensity of seasons, and nearby trees, you may need to clean your gutters more than twice a year. This is why it’s best to contact the gutter cleaning professional in Syracuse to take care of it for you. Truth: You need a gutter cleaning schedule. Not only do you need to clean your gutters relative to your home location, time of season, and expected debris collection rate, but you also need to complete impromptu gutter checks to ensure everything is still functioning properly. Truth: More often than not, your gutter leaf protectors will need to be cleaned just as often as you clean your gutters. The guard diverts debris over the edge of the gutter while still capturing water runoff from the roof. Due to leaf guard designs, they can still allow pine needles, small leaves, sticks, and other smaller debris in to the gutter system, trapping them. Call your local gutter professional at Iron Horse Gutter Works in Syracuse. We offer a variety of services, including LeafLock, SnapLock, Ditch & Drain, Seamless Gutters, and Gutter Cleaning to fit your needs. Our professional gutter cleaners can help you get your gutter system in proper operation so you don’t have to worry about it anymore. At Iron Horse, we take our time and do the job right the first time. 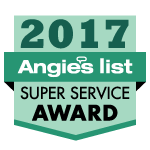 We’re fully insured, and we work hard to bring you peace of mind when it comes to your gutters.